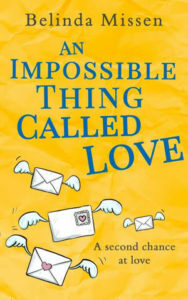 Welcome to my stop on the blog tour for An Impossible Thing Called Love by Belinda Missen. I have a lovely guest post about bookstores in London to share with you today along with a chance to win a copy of the book. My thanks to Rachel Gilbey from Rachel’s Random Resources for the place on the tour. One of my very favourite things about London is her bookstores. I always, always make sure I arrive with a half-empty suitcase, because I know that I will leave with one that’s full-to-bursting. And, as anyone who loves books will tell you, those pesky little things can be damn heavy! Book culture in London feels like it’s been embraced a lot more than it has in Australia. Perhaps that’s because I live in a very small little town (Inverleigh – as featured in A Recipe for Disaster), and I don’t get out enough (also entirely possible). Or, perhaps it’s because London is on the fringes of Europe, cosmopolitan, and a melting pot of people and culture. Whichever it is, bookshop hopping is one of my favourite things to do in London. Without further ado, here are my top places to visit. If I’ve missed your favourite, let me know below – I’ll be back soon enough, and will need more spots to visit. Five whole stories of books, café, and good times. I can wander around aimlessly for hours in here. It was the first spot I ventured to in November 2018. I got off my plane, checked into my Airbnb, showered, and back on the Tube to a party at Waterstone’s Piccadilly. Possibly the largest bookshop in London, is there anything better than a glass of fizz while surrounded by the voices of history? Yeah, maybe not. But, if cake and tea are more your thing, you can grab that, too. In Lambs Conduit Street, Persephone is one of those special finds. Re-issuing out of print books by women writers, I’ve found so many gems in there. It’s a small store with a big catalogue. Get on in there to read some lost voices in women’s literature. I didn’t get a chance to get to the book market last time I was in London, but this outdoor book market, just outside the BFI centre, is brimming with books just waiting to be found. Bring a huge canvas bag and some spare change. Daunt is where you want to go for super Instagram-able shots. With high windows and plenty of gorgeous oak galleries, Daunt is great find on the Marylebone High Street. No bookish afternoon is complete without a visit to Hatchards. Open since 1797, Hatchards is home to an incredible range of rare books, with over 100,000 titles on its shelves. It’s one of my favourite places to browse and, with three royal warrants under its belt, is it any wonder? Sure, it’s not in London. It’s not even in Britain. But, if you’re headed across to Paris for a weekend, please stop into Shakespeare and Co. While it’s not the original site, once frequented by Hemingway and Ford, it still carries the weight of history behind it. More recently popularise by Before Sunrise, you can grab yourself the most amazing hot chocolate and walk along the Seine while reading your newest purchase. For more bookshop recommendations, this time from Melbourne, pop on over to Nemesis Book Blog! Thank you, Belinda. I love this post. I’d love to visit Persephone Books one day. 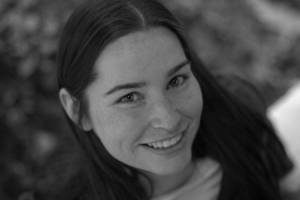 Belinda Missen is an award-winning and best-selling author, screenwriter, and freelance writer from Geelong, Australia. She lives with her car-obsessed, but wonderful husband, two loopy cats, and more books than she cares to count. In late 2017, Belinda signed a six-book contract with HQDigitalUK (HarperCollins). A Recipe for Disaster was released in August 2018. An Impossible Thing Called Love appeared by magic in November 2018. Brilliant guest post but it’s made me want to visit London and all the book stores mentioned, it could prove to be a very expensive day! I’m going to bookmark this post as I seriously do want to visit them all. Hope you get there at some point, Adele. That would be one amazing day out!